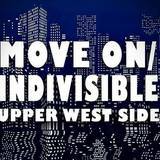 Join Upper West Side MoveOn/Indivisible and other Swing Left volunteers to start talking to voters in this key Swing District, NY19 in the Hudson Valley [most likely to Montecello, New Paltz and Ellenville]. We'll be canvassing for the Democratic candidate, Antonio Delgado using VAN walking lists of Democrats who are infrequent voters to identify Delgado supporters and to further familiarize voters with him. For the undecideds we'll share our knowledge and enthusiasm for Delgado and the importance of the Democrats winning back the House to make the one party GOP government accountable. This all makes the last week of GOTV [get out the vote] much more efficient. We meet on the upper west side of Manhattan at 9:30 am, pair up and set off driving up to Delgado's campaign location for training and getting our turfs then head out to canvass for several hours in scenic Hudson Valley. After canvassing, those who want will have an early dinner together in a local restaurant/cafe before heading home. We drive back getting home to NYC around 7-7:45pm. If you have a car you can take up - that is very helpful so please email me that you'll take your own car and we'll fill it up with other canvassers that need a ride. You will need to chip in $$18 - 28 [depends on how many of our cars we need to rent] towards car rental and gas unless you can bring your car and drive it, in which case you'll get reimbursed for gas.